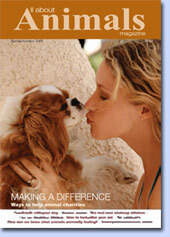 The magazine for animal lovers. Write with your opinion on the magazine and life in general after retirement. Click here. Should workers be encouraged by their employers to stay on after retirement? Retirement whether planned or unplanned, voluntary or otherwise can often leave a huge void in your life. The important thing is to fill that void in such a way that you remain physically fit, mentally agile and continue to enjoy the social interaction with other people. One answer to this dilemma is - get a pet - and there are plenty of animal charities only too willing to help you in every way possible. One such charity is Cats Protection. Last year they commissioned research among nearly a thousand over 55’s carried out by leading health psychologist, Dr June McNicholas who found that a feline friend’s ability to encourage social interaction had many positive effects on their owners. One in four of all respondents said they had met people as a consequence of having a cat, and many reported that their cat helped them to act and feel younger. They also felt their pet contributed to their positive self esteem and agreed they were rarely lonely thanks to their cats’ company. Up to 15% of felines in Cats Protection care are homed to people over 65, therefore offering support and assistance to this group is very important to the charity. Cats make ideal pets for older people because they are low maintenance as well as being both affectionate and independent. One adopter is Jill Clark. In her late 50’s Jill lives near Lewes in Sussex with her husband and her 15-year-old cat, Thomas. Since giving up work, Jill has a lot of spare time on her hands but finds that Thomas is always around to keep her company! 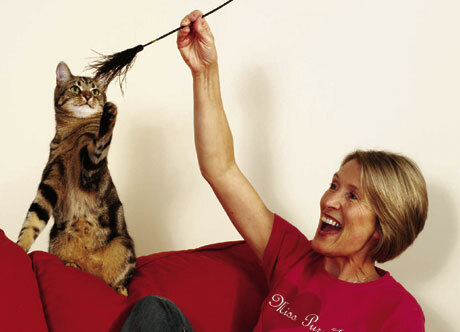 Jill featured in the 2005 poster for Cats Protection Week (10 – 17 September) which centred on the many benefits of pet ownership for older owners. Another example of Cats Protection coming to the rescue took place around 18 months ago. The Hemel & Berkhamsted Branch received a call from a lady called Anne, whose cat had recently been put to sleep due to illness. Anne was in her 80s and lived alone but had always had a pet so she was keen to get another as she enjoyed the company of a feline friend. The Branch quickly introduced her to Milly, a friendly 12-year-old cat who was desperate for a home after living as a stray. The two immediately hit it off and Milly wasted no time settling into her new home! They have become firm friends – Anne has company and Milly is adored by friends, neighbours and Anne’s home help! 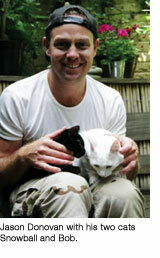 Cats Protection has 260 voluntary run Branches and 29 Adoption Centres which collectively home 60,000 cats a year. 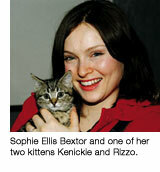 Another charity which acknowledges the benefits older people can derive from pet ownership is the Mayhew Animal Home. Established when Queen Victoria was on the throne, “for the benefit of the lost and starving dogs of London…” it is now one of the busiest animal sanctuaries in the Capital. The home is currently developing a scheme to foster animals to people aged 55 and over who don’t want a pet full time. The idea is also to include a long term agreement whereby if the owner becomes unable to look after the animal or the animal becomes ill the home will take it back and look after it. The scheme, to be called, ‘Older Pets for Older People’ is also intended to find new homes for older animals who are slightly more difficult to rehome. This will particularly benefit animals who are accustomed to a home environment and whose owners have died. The benefit of adopting or fostering an older animal is that they do not require the same level of exercise as a younger one but still need sufficient walking to help keep their owner physically fit and provide mental stimulation. Not all the animals arriving at the home are carefully brought in by concerned people. Many are thrown over the boundary walls at night or just dumped on the doorstep and they don’t just include cats and dogs but snakes, foxes, ferrets and even a couple of goats! Rehoming animals is an important part of their work and consequently The Mayhew Animal Home provides tremendous assistance to anyone taking one of their animals by offering help with the delivery of food, cat litter and vets fees. They also make available home visits to ensure the new owners are coping. The Home offers advice and poses questions which a prospective animal adopter may not have considered, such as, if adopting a dog, as a puppy they can look awfully cute but they will grow up and may live for 20 years. They need time, commitment and energy, human company, a healthy diet, regular de-fleaing and worming and maybe the occasionally need to visit the vet. Cats, although a degree more independent than dogs still need a measure of time and commitment, the Mayhew expects every animal to be welcomed into a loving home where they will become part of the family. The above isn’t intended to put off prospective adopters or fosterers but to ensure that proper consideration has been given the level of commitment which will be required. The Mayhew is more than prepared to advise you on the suitability of your home and lifestyle for adopting animals. Being a charity there is a nominal charge when adopting an animal but every adopted animal from the Mayhew will be neutered to prevent unwanted litters, micro chipped and will have had its first vaccinations. New owners can also receive the first six weeks of pet insurance free. The Home relies heavily on volunteers and welcomes retired people as volunteers especially during week days. 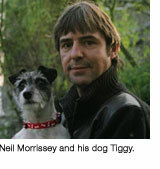 You will be in good company re homing an animal from the Mayhew, among the many celebrities who have adopted pets from the Home and who lend their names to the charity are Neil Morrissey, Sophie Ellis-Bextor and Jason Donovan. For more information on obtaining a pet or becoming a volunteer please contact the Mayhew Animal Home on 020 8969 0178 or on the web www@mayhewanimalhome.org.